When The Women's Web Hyderabad Chapter Got Together! Home > Social Issues > When The Women’s Web Hyderabad Chapter Got Together! When The Women’s Web Hyderabad Chapter Got Together! Women’s Web Network (WWN) is the perfect platform for women to learn, make new friends, build their social circle, and get motivation and ideas to do better in their professional and personal lives. Their work is deftly housed under distinct categories that range from professional struggle to striking a balance between family and career, love, responsibilities, vulnerability, courage, soul secrets and motherhood challenges while at work. Every nuance recognized within the lines of these emotions and embedded feelings are expressed in these meets. WWN is the collaborative get-together of the most eloquent, conscious and special women! Their voices come together to meet, greet, talk, share and discuss about their experiences in their professional life and career. These voices also talk about stories and phases from their life which will help fellow women to learn, understand and be inspired with light and love. Our first meet at Hyderabad was organized in the month of August. As women, we have a plethora of topics to discuss upon. Since there is so much to discuss and talk about, there is one topic that we focus on at each meet. The best part is that all the participants have equal opportunities to share and express their views on the decided topic for the meet. The Hyderabad chapter of the Women’s Web Network kick started very well indeed! 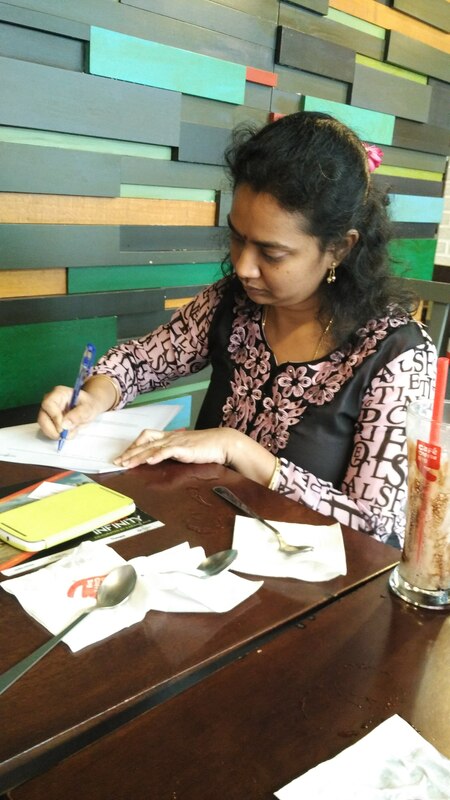 Participant Geethanjali Tanikella (Geethanjali is a writing and editing professional, a mother, an avid reader, and a grammar geek. When she is not adding Oxford commas to lists in a sentence or trying to coax her daughter to eat, she loves to plan her next fitness routine or dream about writing a book) says, “A women’s meetup? 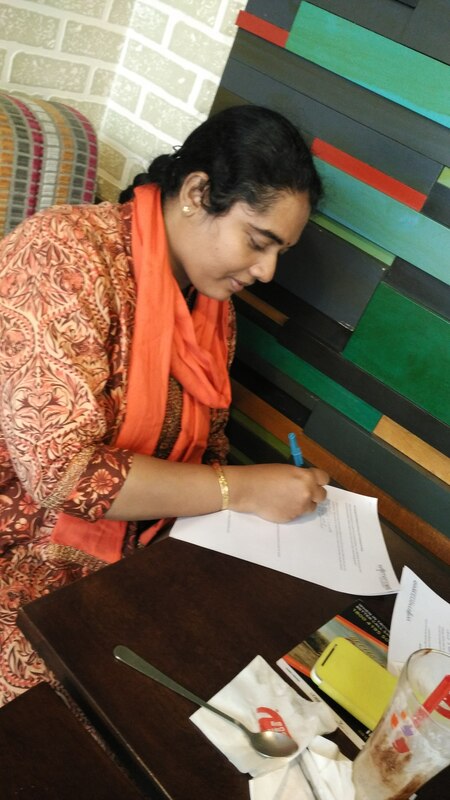 What’s in it for you?” Those were the first questions that my friends asked me when I informed them that my plans for the weekend included attending the debut meet-up of Women’s Web Network – Hyderabad Chapter. Reactions ranged from “Is it a kind of Women’s Lib movement?” to “What fun is it without boys…” This from groups of girls who always seem to stick to each other – be it at a conference or on the dance floor at the office party. Not that I blame them –it is so much simpler for a girl to connect to a girl. Anyway, I was determined to go. The topic was of interest to me – Social Media for Professional Growth. A working women’s meetup is a fabulous learning experience at so many levels. On the professional front, discussions related to the subject matter are of immense value. In addition to interactive learning, you also get to work on action items that can help you make best use of the domain in focus. At a personal level, there are health, fitness, and beauty tips that are like value additions. They say that the best way for a girl to distress is to chill-out with friends. The women at a networking session may be total strangers, but that doesn’t mean it is all work and no play. You can even discuss problems and issues and there may be someone who can help you look at things from a new perspective. Also, good food (Devil’s Delight – a chocolate concoction here) and laughter can be a great stress-buster. The main purpose of attending such events is networking. Who knows – a contact here can become your next client, employee, business partner, or even a referral for a dream job that you covet. For entrepreneurs of start-ups, this networking opportunity alone can give you value for money. At this particular event, we got to know about women-only travel groups that can make your next break a fun-filled event. Opportunities for professional growth are also discussed in such events. You could find the next rung to the corporate ladder, a new avenue to make money, or more here. We learnt about exciting new career opportunities. I feel that every woman has a unique problem and she is constantly searching for a solution. Who knows – you may have the right solution to make a difference to another’s life? Issues relevant to women, children, or any other social cause can also feature in such events and you can get a chance to give back to the society. The next time you hear about a women’s meetup, do not dismiss it as a glorified gossip group. Attend it, learn something new, and make a difference. Though with just few participants; the ideology and the momentum of the meet were well established. From grabbing know-how about career growth, professional development & learning, tips & tricks to deal with challenging opportunities at work, aim to gain recognition at work to working on business challenges, dealing with clientele, seeking new clients, social media marketing and so much more; WWN community chapter meets is all of this and more. The next meet-up at Hyderabad is coming up very soon, on Saturday, 19th September. 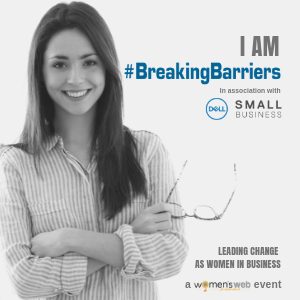 Join us for a couple of hours – this time, we will be discussing How to find a mentor & make best use of mentoring.